For most of their lives, women have been inundated with the negative stories of other women’s birth experiences. Everyone, from their mothers, sisters, aunts, cousins, friends, and even strangers, wants to tell them the horrors of giving birth. They have been conditioned to believe that excruciating pain is associated with birth; and because of this, women today hold an unprecedented fear of giving birth. This extreme fear causes their bodies to become tense, and that tension often prevents them from easily performing the normal, physiological function of birth. The result?—exactly what they feared most--long, painful, disappointing birthings. People who are drawn to HypnoBirthing have long been searching for a way that helps women give birth as calmly, safely, and gently as possible. Until HypnoBirthing® was founded, it seemed almost unattainable. Through a very simple program of self-hypnosis and education, women learn to release emotions tied to fear-based stories and misinformation, and they are helped to see birth as normal. They learn to trust that their bodies know how to bring their babies into the world in the calm and gentle way that Nature intended. 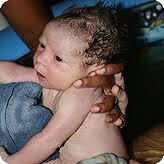 Click here for Frequently Asked Questions about HypnoBirthing®.